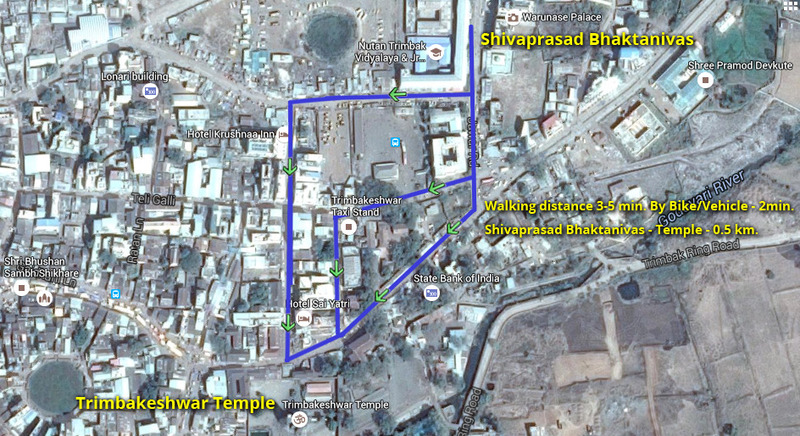 For the convenience of the devotees visiting Trimbakeshwar, Sanshtan has constructed a lodging named Shivaprasad Bhaktanivas. It consists of Two dormitory halls of 14 beds each, Eight rooms with double beds and T.V. set, Six rooms with double beds without T.V. sets, Two Rooms with 4 beds, One Room with 3 beds and T.V. set, Two Rooms with 6 beds and T.V. 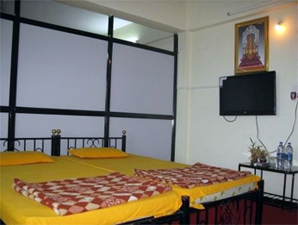 sets (a/c), One room with double bed (a/c and T.V. set), Three V.I.P. rooms with double bed, Kitchen is on the ground floor. Interested devotees can give donation in SBI bank on 33726016478 account. Deposit will be accepted at the time of registration. Hot water & Lift facility are available. 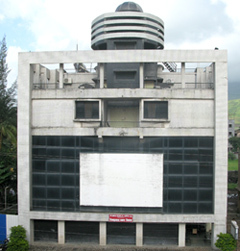 Address - “ShivPrasad”, Mahadevi road, Infront of Nutan trambak Vidyalaya, Trimbakeshwar.